"The stork brought you to us." In western culture, a white stork was believed to send babies to couples by bearing the infant wrapped in a sling held in its beak and deliver the baby in front of the couple's front door. In Greece, baby Hercules was believed to be found by childless Alcmene and Amphitryon on Earth when he was about to be killed by Hades. 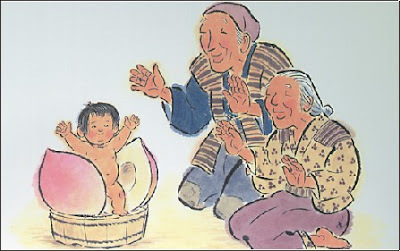 In Japan, Momotaro came to earth in a giant peach and was found floating down a river by an old childless woman who was washing clothes there. 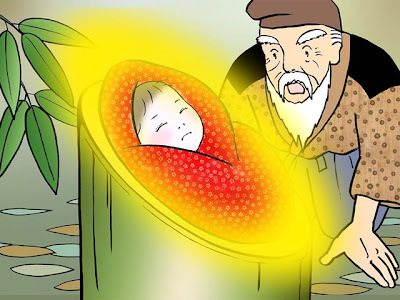 According to the Tale of the Bamboo Cutter in Japan, Kaguya Hime was discovered as a baby inside the stalk of a glowing bamboo plant by an old childless bamboo cutter, called Taketori-no-Okina. 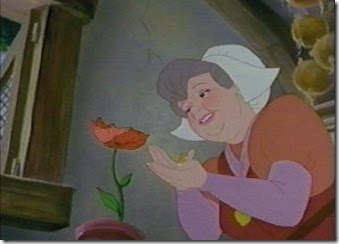 In Denmark, a woman received a magic seed and when she planted it, a tiny girl named Thumbelina emerged from its flower. In Indonesia, a beautiful baby girl called Timun Mas was found by childless farmer couple from a golden magic cucumber plant. Moving on, all of the parents who found the babies were so thankful and took care of the babies with so much love until they grew up. What would you feel when one day, someone knocks on your door and passes you his or her newborn? Happy, blessed and immensely thankful as you have someone new in your family. Excited as you got a new baby to play with at home. Great and full of love as the baby is darn adorable. 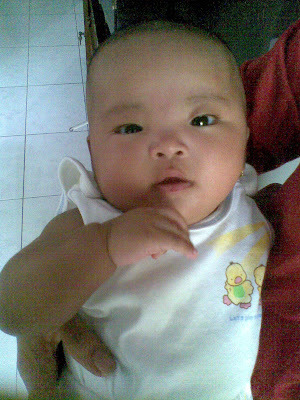 Baby Jennifer - 3 months old /6 kgs. Her name is Jennifer Anastasia. I have not met her personally but my sister just sent me her photos few minutes ago. I was instantly hooked to her! She looks so cute and adorable. No wonder, a lot of people fall in love with her, including my Mom. 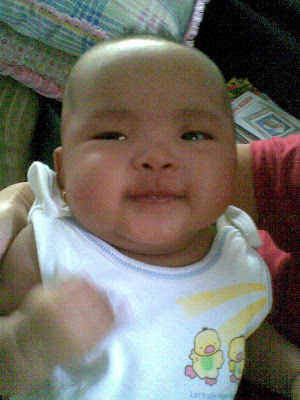 My Mom calls her Baby Obama because of her somewhat dark complexion. No pun intended.